This time we head south and a little bit east of home and go to an area called Villers-la-Ville. 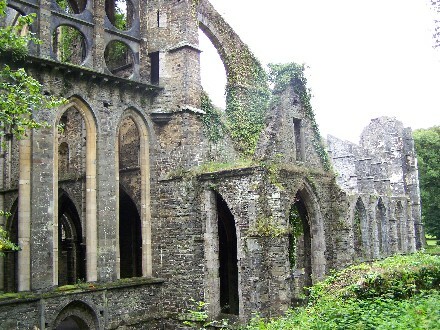 Here we find the ruins of a Cistercian Abbey. 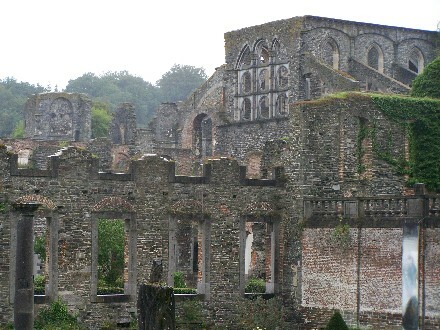 This particular abbey was initiated in 1146 by Saint Bernard and the grounds we visited were the 3rd building of the abbey, which were completed by the end of the 13th century. It started with just one abbot, twelve monks, and five lay brothers and eventually grew to have around 100 monks and 300 lay brothers. During it's high time it covered 25,000 acres across Belgium. Over time the monks had to flee for security reasons at least 9 times. 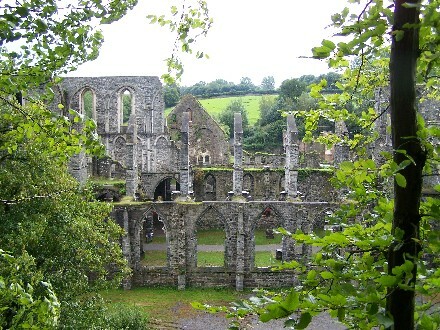 The abbey was closed in 1796 by the revolutionary French government who sold it to a materials merchant. Restoration started in 1893, but would not be done on a large scale until 1984 and is still in progress today. This particular abbey was a grangia - a farming abbey. It had buildings, barns, and land and the monks and brothers worked the land to provide for themselves and others. They followed the rules of Saint Benedict which had been written during the 6th century and are said to strike a balance between spiritual and practical life. We found these ruins to be an complete amazement - beyond anything you can imagine. To think that a small group of people could build something so impressive and to have done it during a time when building would have been much more of a challenge - hauling materials, setting them, and so on - just makes you want to sit back and soak in what it might have been like for the people then. The abbey has many parts. We started our walk by going through the Abbot's Palace (which we didn't realize at the time since it is just some red brick walls now - you can see them across the courtyard in the picture) and taking a tour of the Main Courtyard with terraces, fountains, and flowers. Then we went up a beautiful staircase (the literature says it has 125 steps - Amanda didn't get that when she counted) which leads to a chapel and a view of the vineyards, stables, and railway line that came in to being about 1855. 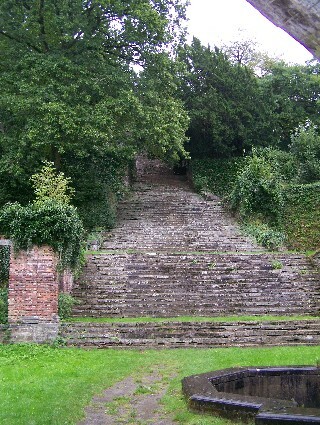 Our picture showing the courtyard was taken from on these steps. 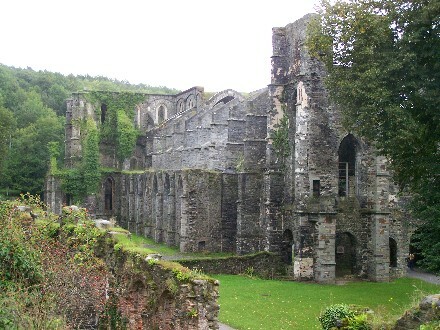 We then headed to the main section of the abbey - the church and the areas surrounding it. You can see just how amazing the church must have been. It is 100 yards long and reaches up to 70 feet high. It was started in 1197 in Romanesque style and over the next years until about 1267 a Gothic style was used. 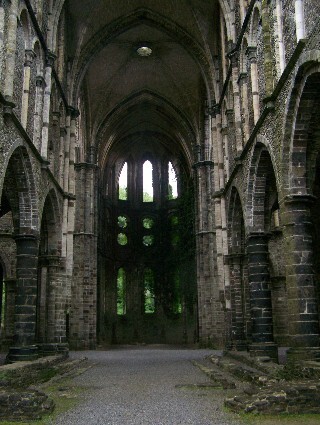 It is one of the first buildings to use the Gothic style in this region. You can see the altar area of the church and then looking back the other way from the altar as well. It is surrounded by sleeping quarters, the cloister, a library, an infirmary, a parlour (the one place where they would be allowed to talk - outside of this area they used coded gestures), a scriptorium for studying. 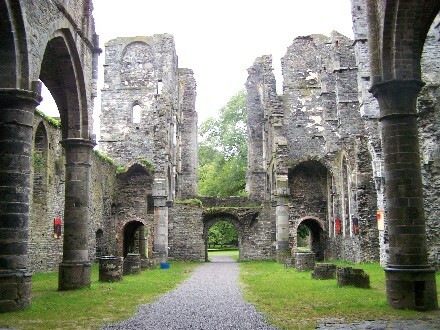 The abbey also had a hostel for visitors/travelers to spend the night. The abbot's palace is near the entrance so he could greet them and bring them in without disrupting the goings on of the abbey. The amazing view of the church that is on the home page was from the upstairs of the hostel. The abbot was also the temporal lord of the area along with being the spiritual leader and he dispensed some justice. There is a prison near the entrance to the abbey in case he needed to confine a wayward monk or someone from outside the abbey. They also had a warming room (the only heated room - it had a fireplace in the 13th century when none of the other rooms did - it shared it with the kitchen), a refectory (which is a cafeteria), a kitchen, a pharmacy, a gatehouse, the hostel, and many workshops, plus a few more chapels. 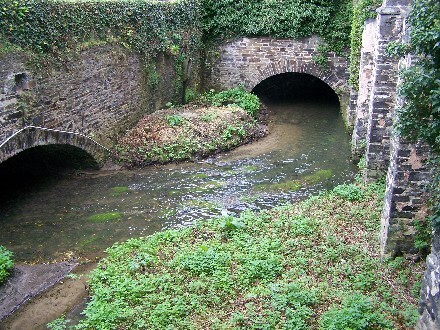 The river running through the abbey served many purposes and was very important to them. We spent the entire afternoon, in a bit of a drizzle, wandering the grounds and taking it all in. 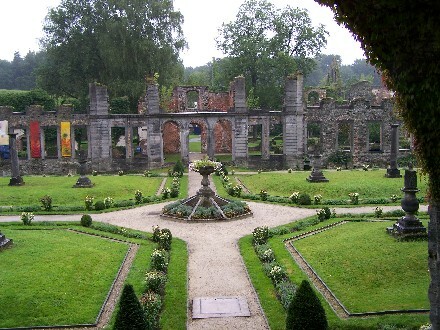 We all say that this will be one of our favorite spots in Belgium - we will come here again and enjoy it all the more. It is only about 30 minutes from our home, so it will be an easy trip to make many more times to come. It has it's own website - www.villers.be - that you can go see if you want.